When I came up with the idea for this website, one of the things I struggled with was how to create a website. I'd heard of HTML and Dreamweaver but had no clue how to use them. I'd also had friends who had used graphic designers to build them custom websites for thousands of dollars — which I couldn't afford. I knew there had to be an easier and more affordable solution. Through my research, I found some website builders that were both affordable and easy to use, but they lacked the professional design that I wanted. Luckily, I found a graphic designer who introduced me to WordPress, a content management system (CMS). In simple terms, a CMS is a computer application that allows publishing, editing, modifying, organizing, deleting, and maintaining content from a central location. 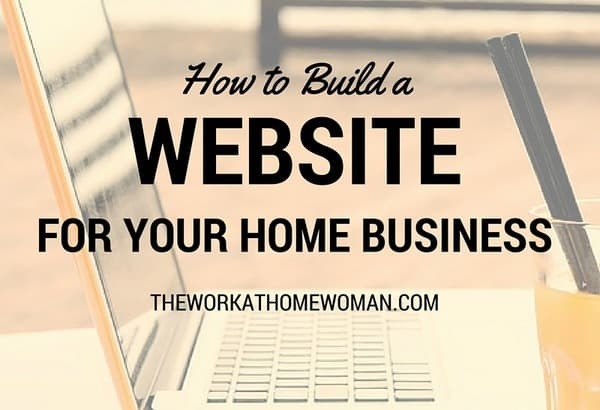 So whether you’re selling handmade crafts, marketing a virtual assistant business, or creating a moneymaking blog — here are the steps you'll need to take to build your website. When you choose a CMS, you'll need to determine what type of site you need. While most CMS platforms can be modified to perform almost any function — some platforms are better suited for certain tasks. For this website, I used WordPress. It's easy to use, has a ton of functionality, and it's totally free — all you need to do is purchase your domain name and hosting. When choosing a hosting company you’ll want to make sure that you get one that’s reliable, affordable, and that has excellent customer service. Over the years, I’ve had to switch hosting companies three times — which is a total pain in the neck. The first time I changed companies was because of terrible service all around. The second time I switched was because my site outgrew my server, and now I'm using LiquidWeb. I'm extremely happy with their hosting and customer service, and if needed, I can upgrade to a more robust plan with just a few clicks. Once you've chosen a host — you'll need to purchase a domain name. This is the web address that people will type into the search bar to find your website. Often this can be bought from the same place you purchased your hosting package. In fact, BlueHost gives you a free domain name when you purchase your hosting through them. Keep it simple. Refrain from words that are difficult to spell or hard to remember. Use a dot.com – .com is what most people remember when typing in a web address. Beware of words with multiple spellings and meanings: to, two, too, or 2. Once you have all of the above components you can put them together to create your website. Back in 2009 when I created my site – I needed the assistance of a web programmer to put everything together. Today many hosting companies offer one-click installs which makes the process extremely easy. If you need further instruction on how to install — take a look at this post. It has a step-by-step tutorial on how to put it all together through BlueHost. When I launched my blog, I hired a graphic designer to create a custom theme for me, and while I love my design — it was pricey. If I had to do it all over again, I would use Bluehost with their 1-2-3 easy upload and a template from StudioPress. In fact, when I did my site redesign last year, I used a StudioPress theme. Not only are these templates affordable, but they look great, and they’re super easy to modify. To help make your site stand out, I suggest getting a custom logo designed. If you’re launching your website on a shoestring budget, try Fiverr — where freelancers only charge $5 for their services. I haven’t used Fiverr for logo design, but I have used them for other sorts of images, and I’ve been happy with the results. Or you can try a service like 99 Designs where you answer a few questions and have designers compete to create you a winning design. This is the first-page customer views, so make sure that it's easy to navigate, it has a clear statement of who you are and what you offer; for bloggers, this will be your tagline. You'll also want to include a call to action (CTA) — what do you want the reader to do next? How can the reader or customer get in touch with you? At the very least you should have your email address or contact form listed on this page. You may also want to include a physical address or P.O. Box, telephone number, fax number, and social media profiles. Customers want to know you're legit — so be sure to include who you are, how you got started, your qualifications, press coverage, awards, and accolades, as well a professional looking headshot. This is where you'll list your services, products, or advertising solutions. Include a summary of your services, benefits, prices, policies, and testimonials. On this page, you'll want to explain the standards and practices of use for your website. This page is a good place to talk about your privacy and disclosure policies. If you're a blogger, and you review products, accept forms of cash advertising, or you participate in affiliate marketing — the FTC requires that you disclose these relationships. You can generate a free disclosure policy here. Now that you have everything in place it's time to let the world know that you're there. 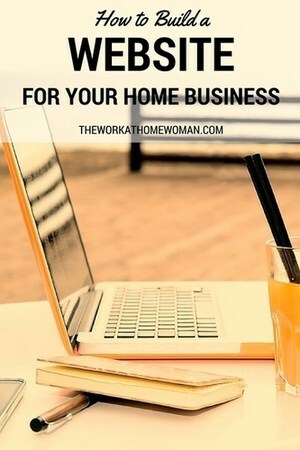 Here are a few ways to get eyeballs on your website or blog. Read this article, for FREE email marketing services. For for information on creating content, getting traffic, and monetizing your website — grab my FREE blogging e-book.